Did you ever notice how the devastating earthquake that hit Sichuan was flashed first on Twitter? Even if you didn’t, then you’d taken aback to know how one of the most active social media platform- Twitter was the first to know and report the same, before the US Government organization was monitoring it. It won’t be incorrect to say that such news is updated with immediate effect on several social media platforms including Facebook, Twitter etc. As the case mentioned above, similar kind of a devastating earthquake struck Nepal this year itself and it was Indian Prime Minister Narendra Modi’s tweet via which Nepal’s Prime Minister got to know about it. Hence, undoubtedly, Twitter is much faster in updating news pertaining to earthquakes. The aforesaid two instances are the live examples of this concept. It is worth noticing a fact that the US Geological Survey (USGC) has got as many as 2,000 earthquake sensors located across the world, however; majority of these are based in the US only. This is the reason why USGS is hindered to monitor the earthquakes in other parts of the world. In response to this boundation, USGS has finally paired up with Twitter. Over millions of users access the most leveraged upon social media platform- Twitter so as to report about Earthquakes. However, it must be ensured that the data that is presented is filtered and fine-tuned such that it is useful. After analyzing the tweets on earthquakes, USGS reported that those tweets wers short and also experienced that those tweeting links were less likely to be users experiencing the earthquake firsthand. Using Twitter data, USGS system is now able able to pick up on an aftershock in Chile within one minute and 20 seconds – and it only took 14 Tweets from the filtered stream to trigger an email alert. The other two earthquakes, off Easter Island and Indonesia, weren’t picked up because they were not widely felt. Future plans for USGS team are to determine if they can drop Twitter data based detections into seismic algorithms, and if that can speed up alerts even more. Public Relation is the most important activity which every company needs to plan in order to maintain their goodwill among the audience. It is the way in which organisations, companies, etc. communicate with their target audience. Companies connect directly or indirectly with their audience through media to create a strong relationship with them. The webinar on ”The Perfect Recipe for Digital PR” states the essential ingredients for PR and what is the process for perfect PR. This webinar was led by Dr. Som Singh, Founder and Chief Marketing Advisor at Unspun Consulting Group. In her initial years, she committed herself to learning the nuances of marketing, technology built on my domain expertise by working for different companies. After that, she began her journey as a woman entrepreneur. She is passionate about life, she has tremendous passion towards supporting the growth of more entrepreneurs in India. She explains in the webinar about the content tools, free tools and paid tools which can help in PR. With the current Internet userbase of 375 million users, India is likely to touch the benchmark of 400 million users by December, suggests a report by IAMAI (Internet and Mobile Association of India). Precisely, the report by IAMAI and IMRB International collectively substantiates that the number of internet users in India is anticipated to touch the mark of 402 million by December. The statistics were shared earlier this week by the two eminent institutions, after assessing the trend of internet usage by Indian users. Moreover, the spokesperson from IAMAI- Nilotpal Chakravarti stated that amongst the stated number of users, the agency has calculated that as many as 375 million shall be unique internet users. Furthermore, from amongst them 276 million internet users accessed internet via mobile phone devices. A month ago, on 17th October, the statistical implications as shared by the Telecom Regulatory Authority of India reflected that India had 117.34 million broadband users in August, of which 100.88 million were users of mobile phones and dongles. Broadband internet speeds is counted at 512 kbps or more. This year’s growth was 49 per cent more than 2014. This number is expected to further surge to 462 million by June next year with more people coming online, especially through their mobile devices, it said. Great news for Android users in India! 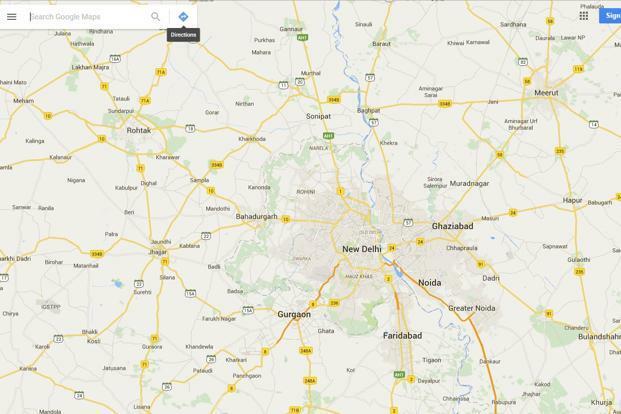 Now, they can easily access Google Maps offline. Yes! Sounds queer? But, that’s what is going to happen very soon. Search engine giant Google globally began to roll out this feature sometime in the previous week itself. While, this feature is most likely to be accessible to iOS devices in India very soon. receive turn-by-turn instructions that too even in areas without a data connection. The aforesaid features have been introduced keeping in view the fact that earlier users could only get access to view a specific area of the map in the offline mode. Now, it can be rightly said that Google Maps can readily switch between online as well as offline modes, thus giving access to the facility in either of the situation. This will enable users to be well versed with the live traffic conditions of the routes that they have to tread on. Herein, the maps will be downloaded by default only when the device is connected to WiFi, stated Suren. To bridge this, a strategy called offline-first mobile development is becoming a trend globally, where mobile developers are encouraged to prioritise users who do not have constant connections. Treading on the same path, travel-planning website Holiday IQ also readily offers offline facility to travelers that enable them to view content without internet connectivity. Google is out with it’s newbuzz Material Design. All the Apps are in a rush to go material but without full understanding of the same, many apps have started looking similar and loosing their identity of brand. Robin Dhanwani, Founder and UX Designer of Parallel Labs, provided an introduction to Material Design for Android in today’s webinar. He shared how one can follow the guidelines for Material Design without compromising on brand identity. Many case studies were shared about those Apps which were successful in applying Material Design. Robin’s Parallel Labs is a digital product design lab based in Bangalore. It has helped many emerging companies with User experience design of their web and mobile products. Before Parallel Labs, he also spent 5 years at Beard Design. In this webinar, we got an understanding about what is material design, how to create user experience maintaining the brand identity. Digital Marketing is emerging at a massive pace all over the world. Changes empowered by Digital Technologies that occur at a pace which disrupt the established ways of social networking, doing business and our thinking is Digital Disruption. In today’s era, there are very few industries which are not dealing with the arrival of digital customers. Many business ideas are getting disrupted due to the increasing demands of the consumer and digital technologies. The world of digital engagement is experiencing a similar transformation, though instead of taking centuries to change how consumers act and what marketers do, this human civilization transformation equivalent of marketing is happening at a very rapid pace. In this webinar, Umang Bedi Managing Director-South Asia at Adobe responsible for Business Operations which includes growth of sales and marketing functions, driving strategic partnerships and alliances shared his valuable thoughts on the beginning of Digital Disruption. He has a strong understanding and their needs in an evolving creative and digital economy. He threw light upon the past, present and future of Digital Disruption.